As you can see, there is a possibility for two people to ride the creature! This is also stated in the dossier when it was released, however we’re still glad to see that it is actually being implemented already. We can’t wait for the creature to be released tomorrow (hopefully) so we can test it out. 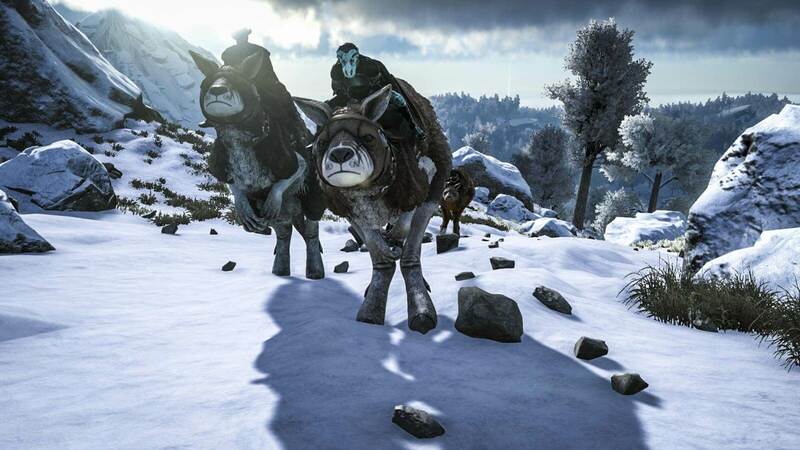 Maybe this will also be an answer to the currently fleeing creatures when you try to tame them: go after it with the Procoptodon and hit it with your tranq darts / arrows while being ridden around. Another nice announcement Drake made is that there will be additional multi-seat saddles coming soon (however, we don’t know how “soon”). These saddles will also be available for older / legacy creatures. 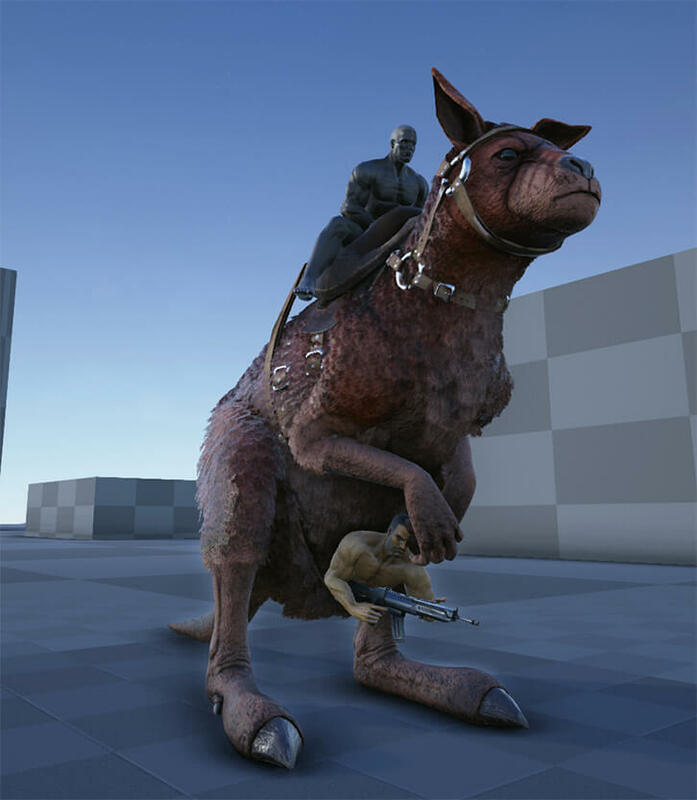 Not only will guns be available when riding in the pouch, but also pikes and spears (so presumably everything that you can keep in your hands). Besides the carry-ability, the pouch will also provide protection against heat and cold, as it boosts your insulation. 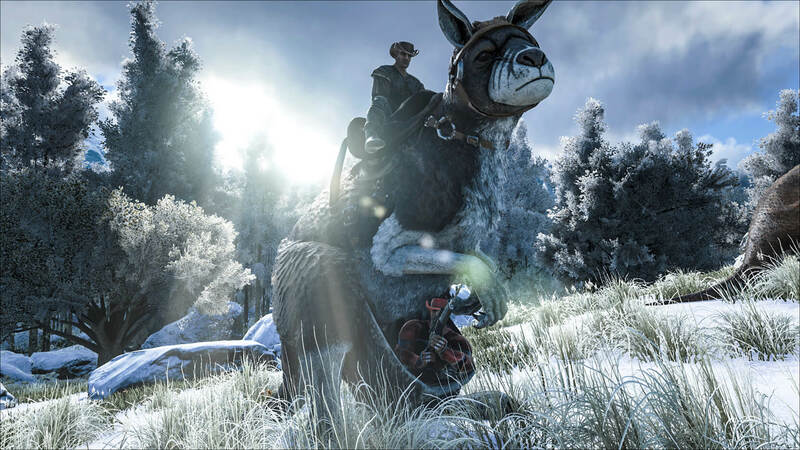 This would mean you can go exploring the cold areas in ARK while sitting warm and cozy (although it doesn’t look that cozy) in the pouch. Can we use a pike/spear from the 2nd position?? I wanted to joust with it!